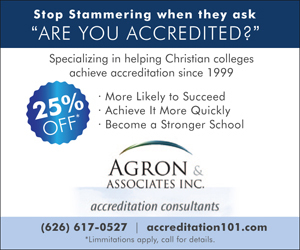 Specializing in helping Christian colleges achieve initial accreditation since 1999. By working with us, a school is more likely to achieve accreditation, achieve it more quickly, and become a stronger school because of our help. Imagine the difference we can make in the future of your school. Imagine the difference we can make in the future of your school!